photography category. 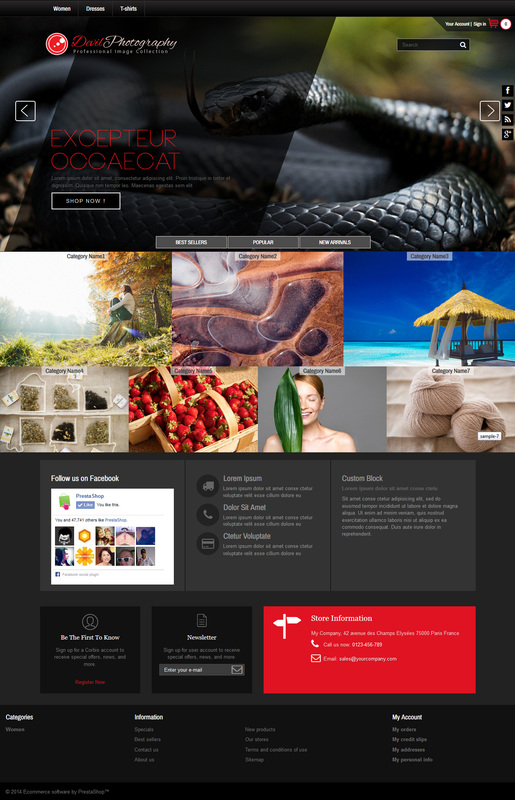 In this theme we have made image slider in backward with 100% width. and special products are integrated above category’s image module..
single page from home page. It’s easy to install and does not takes more than 5 minutes. This entry was posted in Uncategorized and tagged art, Design, fashion, photography on August 25, 2014 by devilthemes.